"See-Saw" by Katherine Mansfield (1888 to 1923-New Zealand) was first published in 1917 and then was included in a collection of her short stories published in 1924, Something Childish and other Stories, edited by her husband, John Middleton Murry. SPRING. As the people leave the road for the grass their eyes become fixed and dreamy like the eyes of people wading in the warm sea. There are no daisies yet, but the sweet smell of the grass rises, rises in tiny waves the deeper they go. The trees are in full leaf. As far as one can see there are fans, hoops, tall rich plumes of various green. A light wind shakes them, blowing them together, blowing them free again; in the blue sky floats a cluster of tiny white clouds like a brood of ducklings. The main plot action of "See-Saw" involves a young boy and girl playing at keeping house. It is well done and the dialogue works. "See-Saw" is well done and kept me interested. "Carnation" by Katherine Mansfield (1888 to 1923-New Zealand) was first published in 1917 and was included in the collection of her work published after her death by her husband John Middleton Murray, Something Childish and other Stories, in 1924. "Carnation" is definitely a story drawn from the life experiences of Mansfield during her school years. One of the persons in the story is called "Katie" which was the name Mansfield was called by those close to her. The plot action is simple. It takes place during a class in French at a private girls school. The teacher is Mr. Hugo. Mr Hugo is old and puffy. Of course as the students are all very young old might mean 30! It would be hard to deny that Mansfield can be a bit harsh in her treatment of continental Europeans. The fun of the story is in the conversations of the girls while Mr. Hugo is teaching French in the front of the room. Mansfield does a great job with the conversations of the girls. Mansfield manages to turn a simple classroom encounter into something that seems almost like a scene from a very ancient ritual. Only Eve and Katie sat upright and still. Katie did not know enough French to understand, but Eve sat listening, her eyebrows raised, her eyes half veiled, and a smile that was like the shadow of her cruel little laugh, like the wing shadows of that cruel little laugh fluttering over her lips. She made a warm, white cup of her fingers—the carnation inside. Oh, the scent! It floated across to Katie. It was too much. Katie turned away to the dazzling light outside the window. "An Unwritten Novel" appeared in Monday or Tuesday, the only collection of short stories by Virginia Woolf (1882 to 1941-UK) published in her life time. In 1944 her husband Leonard Woolf republished it in a larger collection of her short stories, The Haunted House and other Stories. Five faces opposite — five mature faces — and the knowledge in each face. Strange, though, how people want to conceal it! Marks of reticence are on all those faces: lips shut, eyes shaded, each one of the five doing something to hide or stultify his knowledge. One smokes; another reads; a third checks entries in a pocket book; a fourth stares at the map of the line framed opposite; and the fifth — the terrible thing about the fifth is that she does nothing at all. She looks at life. Ah, but my poor, unfortunate woman, do play the game — do, for all our sakes, conceal it! One problem I have on posting in Virginia Woolf is the feeling that restating the story can only take away from the beauty and artistry of the work. The tendency is to over quote. One by one the elderly passengers get of the train until only the fifth passenger remains. The narrator without really speaking to her begins to project an entire life onto her. The train reaches the woman's stop and she is met by her adult son. At first the narrator is shocked at this does not match at all the details of the life she has constructed for the the woman in her unfinished novel of her life. I will remember this line a long time: "But she had communicated, shared her secret, passed her poison she would speak no more". I have decided in my beginning readings of Woolf just to let the prose roll over me, what I understand, I understand. Wherever I go, mysterious figures, I see you, turning the corner, mothers and sons; you, you, you. I hasten, I follow. This, I fancy, must be the sea. Grey is the landscape; dim as ashes; the water murmurs and moves. If I fall on my knees, if I go through the ritual, the ancient antics, it’s you, unknown figures, you I adore; if I open my arms, it’s you I embrace, you I draw to me — adorable world! I wish to thank Jov of Bibliojunkie for her great kindness in sending me this book. My Cousin Rachel is the second work of Daphne du Maurier (1907 to 1981-UK) that I have read. My first of her works was Rebecca, her consensus best work. Like Rebecca, My Cousin Rachel centers on a sinister seeming woman who uses her wiles to deceive a wealthy but naive man into endowing her with wealth. Both of the women have nefarious men in their pasts who intrude into the future. I do not wish to give away much at all of the plot of My Cousin Rachel. I loved the way du Maurier created the almost misogynistic atmosphere in the opening chapters of the book. Much of the book is beautifully written and there are some simply stunning sentences and turns of phrases. 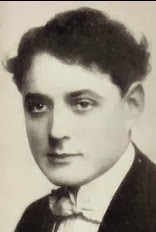 The lead male character, Philip was brought up by his wealthy bachelor uncle after his parents die. Uncle Ambrose, in his forties as the story begins, seems never to have had any but limited social contact with women. His nephew, in his early twenties also has had no contact with women other than social relations of a very proper sort. He does say at one point that he is not moved by the idea of any other sort of relationships with women. There is a great affection and bond between Ambrose and his ward and nephew Philip. The story is set on a stately mansion, just like Rebecca is, on the coast in England. At every turn as the plot advanced I knew something terrible was going to eventually happen. I was sucked into the plot lines so well I was shocked by the ending. At the end I could see how everything was tied together though I was left with some unanswered question, not a bad thing in itself. I did at times have trouble understanding why Rachel was so attractive to both Ambrose and Philip and I think this is not really well conveyed in the book. Maybe we are just meant to accept that they are and use our imagination to figure out why. I admit as I was reading I became very impatient with what seemed like the incredible naivety of the lead male character, twenty four year old Philip. I enjoyed My Cousin Rachel a lot. If you are new to du Maurier as I am, then read Rebecca first. If you really like that a lot then I would say My Cousin Rachel would also be something you would enjoy. It seems that du Maurier's early works (pre-1952 or so) are considered her best work. 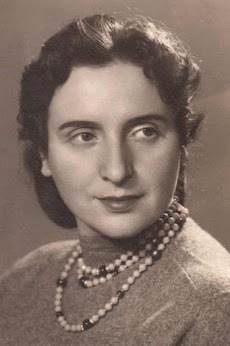 I would like to read one more of her novels soon and would appreciate any suggestions as to my next read. I read her The Infernal World of Branwell Bronte in early 2008. "A Suburban Fairy Tale" by Katherine Mansfield (1888 to 1923-New Zealand) is set in London right after the end of WWI. The citizens of London are enjoying an end to war time rationing. As the story begins Mr and Mrs B (this use of "B" had to have been meant to at least make those who knew a bit about her life think of her parents-Annie and Harold Beauchamp-Mansfield's real name was Katherine Mansfield Beauchamp Murray) are enjoying the kind of grand breakfast that was not possible during the war years. Alas! Little B. was not at all the child that such parents had every right to expect. He was no fat little trot, no dumpling, no firm little pudding. He was under-sized for his age, with legs like macaroni, tiny claws, soft, soft hair that felt like mouse fur, and big wide-open eyes. It is interesting to see all of he food references in this description which are meant, I think, to let us see how much food would permeate our mind under the conditions of war rationing. Little B sees a flock of sparrows out side the window that seem to be crying for food. We are also drawn to think of the father seeing his son as a kind of sparrow also. The fairy tale element of the story begins at this point and I do not wish to spoil it. Katherine Mansfield was very into work of Oscar Wilde and I see the influence of his fairy tales in this story. Both meanings fit the context. Maybe "Monday or Tuesday" does not need to be given an overly left brain reading. The images are beautiful and I suspect with the proper speaker it would be a wonderful listen. Maybe Woolf was just having some fun. I read this in the collection A Haunted House and Other Stories as edited and republished by Leonard Woolf in 1941 from the 1921 original. It was the only collection of short stories published during Virginia Woolf's life. "The Black Cap" by Katherine Mansfield (1888-1823-New Zealand) was first published in 1917 and republished in a collection of her work, Something Childish and Other Stories, edited by her husband John Middleton Murry in 1924. He. You haven't got too much time if you want to catch that train. She. I know. I'm going. (In a changed tone.) Darling, don't let us part like this. It makes me feel so wretched. Why is it that you always seem to take a positive delight in spoiling my enjoyment? He. I don't think going to the dentist is so positively enjoyable. She. Oh, you know that's not what I mean. You're only saying that to hurt me. You know you are begging the question. He (laughing). And you are losing your train. You'll be back on Thursday evening, won't you? She (in a low, desperate voice). Yes, on Thursday evening. Good-bye, then. (Comes over to him, and takes his head in her hands.) Is there anything really the matter? Do at least look at me. Don't you—care—at—all? Something shocking and quite unexpected happens when she gets to her destination. I really do not want to spoil this story so I will relay no more of the plot action other than to repeat an old saying from some where or other "wherever we go we always find ourselves." "The Black Cap" is a great addition to Mansfield's work in that it shows she is very capable of stepping beyond the "man is always the villain" mode. It is also a great account of limited self knowledge. "The Black Cap" is also just a fun read. "Two Tuppenny Ones, Please" by Katherine Mansfield (1888 to 1923-New Zealand) was first published in 1917 and was republished in an anthology of her work, Something Childish and Other Stories, edited by her husband, John Middleton Murray in 1924. "Two Tuppeny Ones, Please" is narrated in a very interesting way that spotlights another aspect of the great talent of Mansfield, her ability to beautifully and brilliantly convey plot action and character through dialogue. The story is written as if it were a small play with two characters, a lady and her friend. This was back in the day when to refer to a woman as a "lady" meant she was of upper social standing with a bit of money. I am becoming increasingly convinced that one of the defining characteristics of the Japanese novel is an assumption that the audience for the novels will be familiar with the conventions of various types of Japanese theater. One of the first Japanese novels I read was Yukio Mishima's The Sailor Who Fell From Grace with the Sea. If you merely look at this as a purely European novel the plot line is cliched and the characters are not fully developed. When I stepped back and came to see this as a novel that assumes the ritualized and representational features of classical Japanese theater I was able to see the brilliance in the work. This knowledge is not something arcane that only professors would understand , it is (or maybe better said now was) part of the common culture of the Japanese novel reader. Yukio Mishima (1925 to 1970) is on all lists of the best five Japanese novelists. One of the themes of his work is the destruction of traditional Japanese culture through the defeat in WWII and the subsequent total adoption of the values of consumerism by most Japanese. Mishima felt deeply enough about his views to commit ritual suicide in support of them. Runaway Horses is the second work in Mishima's tetralogy, The Sea of Fertility. The Sea of Fertility is unified by having a common lead character in each of the four works, Shigekuni Honda. When Honda is first introduced he is a law student and at the end he is a distinguished retired judge. In each novel the plot action centers on a young man that Honda believe to be the reincarnation of a school friend of his. Not long ago I was browsing in Fully Booked, a book store with branches all over Manila. I was happy to see they had a lot of books by Yukio Mishima, one of the Japanese novelists I for sure want to get to know better. I guess i should have looked more carefully at the book before I bought book two in The Sea of Fertility before book one. I set the book to the side thinking I will go back and buy book one, Spring Snow. As luck would have it, book one is not available anywhere in Manila I can find. I am running very low on unread Japanese novels on my shelves so after researching the over all plot of the tetralogy I decided to read it out of order though I will not post much on it until I read the first part at least. I am planning for sure to read all of it this year, if possible. I am noticing a common theme in the works of Mishima. In his works young idealistic men in their teens or early twenties rebel, often violently, against what they see as corrupt older men who have obtained power through a betrayal of the ideals they espouse but no longer embody. He also uses this as a way of showing the general falling away of Japanese society from its core values through an over attachment to the material values of the west. (This is a common theme in the post war Japanese novel.) This is exactly what happens in Runaway Horses. I liked Runaway Horses a lot. The story takes place in 1932 and 1933 and involves a plot against the government, though not against the Emperor, by a group of young men. The planning of the plot is told in a very exciting way. There is a lot to be learned about pre-WWII Japanese society from this book. I would really suggest that one read the first part of this tetralogy before the second and I will do a longer post once I have read part one, Spring Snow . "Late at Night" was first published 1917 and then republished in 1924 in a collection of her stories, Something Childish and Other Stories edited by Mansfield's husband, John Middleton Murry, after Mansfield died in 1923. "Late at Night" has a simple structure. It is about the late night musing of a woman who sent a man she is attracted to but not really in a relationship with five socks. (Keep in mind socks and such were proportionally more expensive in 1917 than now.) What makes the story seem a bit quirky is that the lead character is named "Virginia". Virginia Woolf and Katherine Mansfield first met in November of 1916 so you have to assume the reader is at least meant to somehow think of Virginia Woolf. My thought is that this maybe a private joke of some kind as it is hard to imagine Woolf mailing let alone darning someone's socks. On the other hand, Mansfield was given to infatuations and it seems plausible she might do this. The woman has sent the man a letter along with the socks. She gets a letter back and she at once goes into an exhaustive interpretation of the many possible meanings of the letter. There is a risk in learning about the life of a writer as well as a profit. The risk is we begin not to look so much at the story itself but how it related to the author's life. It is clear already to me that Mansfield used her life for the material and inspiration for much of her story. Ignoring that "Late at Night" is a universal tale anyone confused about their relationships can relate to, it is a story about a woman who feels she does not quite fit in anywhere but does not fully understand why not. I wonder why it is that after a certain point I always seem to repel people. Funny, isn't it! They like me at first; they think me uncommon, or original; but then immediately I want to show them—even give them a hint— that I like them, they seem to get frightened and begin to disappear. I suppose I shall get embittered about it later on. There is a great emotional depth to this story. The narrator does not come close to fully understanding herself and her needs and that makes us able to more fully feel her pain. John Cheever (1912 to 1982-Quincy, Massachusetts) is probably most highly regarded now for his short stories which were mostly set in New York City and the American North East region. He received a Pulitzer Prize in 1979. His two most famous novels are The Falconer and The Wapshot Scandal. Before I posted on his perhaps best known story, "The Enormous Radio" I had last heard of Cheever on an episode of the Jerry Seinfeld Show. The central and really only character in "The Swimmer", set in an affluent suburb of New York City, is Neddy Merrill. Neddy Merrill seems well into middle age but regards him self as still having the vitality and charm of youth. As the story begins he is at a cocktail party (imagine someone out of the TV series Mad Men to visualize Neddy.) and he comes up with what seems like a very original idea. In the area where he lives it seems most people have back yard swimming pools. Neddy comes up with the idea of getting home from the party by swimming through all of the pools on the path to his house. Of course this involves a lot of walking and talking to the people who own the pools, many of whom he already knows. At first everything is a lot of fun and people are happy to let him swim in their pools. Something strange begins to happen. (From this point on there will be some slight spoilers). He finds one of the pools in his path drained and the house for sale even though he saw it very recently and has no memory of anything like that. Neddy fears either his memory or even worse his sanity is slipping away when at the next house the owner tells him she is sorry to hear of his money and family problems as he has no idea what she is talking about. 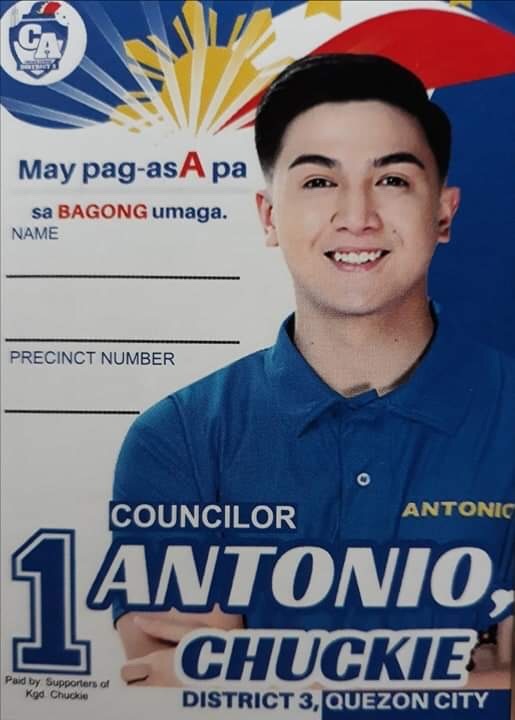 At the next house he is treated very nearly as a vagrant showing up at the door asking for money even though when he began the swim he was a typically affluent member of the community. Neddy begins to feel that time is passing much more rapidly than it should be. He began his swim project in midsummer and now the pools are cold and he also notices that he seems to be aging in that he has a hard time swimming the pools now. He stops at the home of a former mistress and she tells him not to try borrowing money from her again and he notices she seems to have a distressingly young boyfriend now. There is more but this is enough to convey the story line. Time is going by too rapidly and unexplained changes that should take years happen over the course of an afternoon or so it seems to Neddy. The question for the reader is then "what is going on?". Has Neddy died and entered a form of hell? Has he passed into the Twilight Zone (for sure this would have been a great plot for the old TV show of that name), has he simply lost his mind and imagines future events or are the future events real time and the notion that he is fit and affluent a fantasy of a lost past? Is it all a dream? "The Swimmer" is a good entertaining story that will engage your mind. I think it would be a good story for teachers. Ok, Cheever is not Chekhov, du Maupassant or Mansfield but I enjoyed this story and think other will also. The story sort of feels like it was written to be a popular broadly liked story rather than as an attempt at high art. I endorse it for anyone who likes a fun short story. "Spring Pictures" by Katherine Mansfield (1888 to 1923-New Zealand) was first published in 1915 then republished in a posthumous collection of her work, Something Childish and Other Stories, edited by her husband John Murry (1924). "Spring Pictures" confused me on first reading but seemed to give up some of its secrets upon a second reading. It is not so much a narrative as painting in prose using what appears to be a dream sequence of a woman staying in a boarding house as its canvas. Much of Mansfield's work deals with the concerns and consciousness of a woman traveling alone and "Spring Pictures" is a central text in this. One huge difference I am seeing between the work of Mansfield and Virginia Woolf is the way the concept of being alone and and loneliness is presented. There is little plot action in this story. As it opens Mansfield presents us an image rich description of a market as seen through the dream filter of the woman. From this reverie she is awoken by the concierge calling her for breakfast. Hope! You misery—you sentimental, faded female! Break your last string and have done with it. I shall go mad with your endless thrumming; my heart throbs to it and every little pulse beats in time. It is morning. I lie in the empty bed—the huge bed big as a field and as cold and unsheltered. Through the shutters the sunlight comes up from the river and flows over the ceiling in trembling waves. I hear from outside a hammer tapping, and far below in the house a door swings open and shuts. 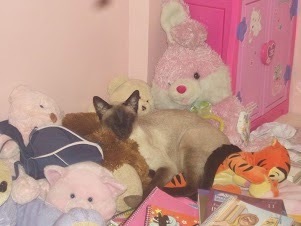 Is this my room? Are those my clothes folded over an armchair? Under the pillow, sign and symbol of a lonely woman, ticks my watch. The bell jangles. Ah! At last! I leap out of bed and run to the door. Play faster—faster—Hope! The last paragraph of the story is a bit of a mystery to me still-Is it part of the dream reverie, is it a waking aspect of the stream of consciousness of the central character in which she attempts to deal with her despair, is it a fantasy sequence unrelated narratively to the prior to sequences? The story has three distinct sections and the relationship between these three sections is sort of up to the reader to construct. "Spring Pictures" is one of the most experimental stories by Mansfield I have yet read. In a few paragraphs she challenges us to try to enter the world of the story. "An Indiscreet Journey" by Katherine Mansfield was first published in 1915 and then republished after her death by her husband in a collection of her work called Something Childish and Other Stories in 1924. In my reading of Mansfield's stories I have observed that a lot of them are about a woman on a journey, normally traveling alone through partially unfriendly territory. 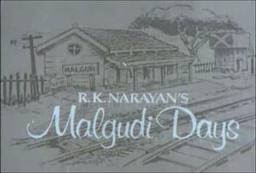 A number of the stories take place on trains. One of the effects of such travels is that, if one wants, you are free to say what ever you want to those sitting near you knowing you will in all probability never see them again. On a train among strangers you can be anyone that you want to be. Written during the first part of WWI, "An Indiscreet Journey" is the first of her stories I have read (about 30 so far) that deal directly with matters relating to the war. Our lead character, a young woman alone, is on a train in France. Many of her fellow passengers are young soldiers on their way to war. Mansfield marvelously contrasts the seeming innocence of the soldiers and the beauty of the passing countryside with a foreknowledge of what will soon happen to the soldiers and in the beautiful fields. And now there were soldiers everywhere working on the railway line, leaning against trucks or standing hands on hips, eyes fixed on the train as though they expected at least one camera at every window. And now we were passing big wooden sheds like riggedup dancing halls or seaside pavilions, each flying a flag. In and out of them walked the Red Cross men; the wounded sat against the walls sunning themselves. At all the bridges, the crossings, the stations, apetit soldat, all boots and bayonet. Forlorn and desolate he looked,—like a little comic picture waiting for the joke to be written underneath. Is there really such a thing as war? Are all these laughing voices really going to the war? These dark woods lighted so mysteriously by the white stems of the birch and the ash—these watery fields with the big birds flying over—these rivers green and blue in the light—have battles been fought in places like these? In this story we feel more of the loneliness conveyed in the work of Mansfield. We see what it feels like for the narrator to see death and horror coming amidst the young men and the natural beauty. The wounded soldiers are depicted almost as if they were parts of a painting rather than real men who may never grown to maturity now. It as if we are seeing things through the eye of a spectator who intentionally stops short of following her full vision to avoid the horror of it. "Boule de Suif" is set in the FrancPierre et Jeano-Prussian war (1870 to 1871). 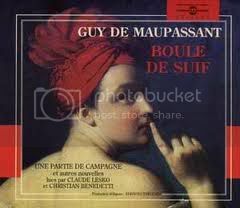 "Boule de Suif" is considered the first masterpiece of Guy de Maupassant (1850 to 1893-France). It is the work that first made de Maupassant a star of the French literary scene. Flaubert said the story would be an enduring master work and he was right. The popularity of this story created a great demand for future works by the author. There is not a false note in this wonderful story. I am so glad I took the time to read it. So far I have read and posted on two works by de Maupassant. A short story, "The Confession" and a short novel Pierre et Jean. The story begins with ten people on a stage coach leaving Rouen ,France in order to get away from the occupying Prussians. The people on the stage represent a microcosm of French society. The title character of the story, Boule de Suif-this translates roughly as "fat dumpling butterball", is a prostitute. In the culture of the time, such physical characteristics were not considered a negative matter. There is a suggestion that in the lean times of the Franco-Prussian war, which the French lost (I almost wrote, which "of course" the French lost!) a heavy woman was a comforting and desirable image. As the coach proceeds very slowly on through the terrible weather it seem Boule de Suif is the only person on the stage coach with the foresight to bring any food. Others on the stage, especially the married women and perhaps for show their husbands, are very offended that they must share a coach with a prostitute. But in time they agree to accept her offer of food and a small effort is made to speak with her by some of the others on the coach. The interaction between the characters on the stage is brilliantly done. It exposes the way in which the behavior and perceptions of the people on the stage are dictated by their social position. It was fun to see the shallow hypocrisy of some of the people on the stage coach exposed. The plot of the story is just marvelous. I do not want to tell any more of the action of the story so others will have the pleasure of discovering this story for the first time, just as I have. As the story ended I felt ashamed for everyone on the stage but one person. For sure this story will well repay the few minutes it will take you to read it. A couple of months ago I won a copy of The Waves by Virginia Woolf (1882 to 1941-England) in a book blog giveaway contest. I had never prior to receiving that book read anything by Virginia Woolf. I had no aversion or apprehension about her, she was just one of those many authors I had not yet got around to. 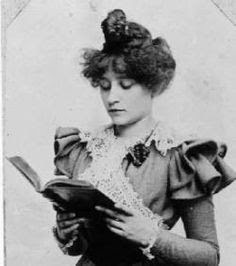 While reading The Waves I also read a couple of her short stories and essays. I next read her Jacob's Room which I really enjoyed. I next read Mrs Dalloway. At that point I looked over a listing of her oeuvre. Over all her out put is overwhelming but if one focuses in on her fiction it seems reasonable to attempt to read it all. I knew some of her books are considered "difficult" modern works in the manner of Joyce and Ford but none of them are big monsters and most can be read online. I loved all the references to books and authors that her work contains so I decided I would begin The Reading Life Virginia Woolf Project and try to read all of her fiction. I decided to more or less read her four consensus master works first. They are (in no order) Mrs Dalloway, The Waves, Orlando, and The Lighthouse. My thinking was that if I began the project and some how got diverted or did not complete it at least I will have read her best works. I just completed Orlando. Prior to reading Orlando I read Vita-A Biography of Vita Sackville-West by Victoria Glendinning. Vita Sackville-West, a larger than life super wealthy aristocrat, author and a lover of Woolf, is the role model for the central character of Orlando. In fact, Orlando is dedicated to her. Orlando is a wonderful super interesting and very funny alleged biography of an English aristocrat who over the course of an unnaturally long life is transformed from a man to a woman. I do not feel a lot of need to recast the action of this very well known book. Orlando has many wonderful adventures, romances of various sorts and along the way gets infected with what the persona of the pseudo-biographer calls "the disease of loving to read". A fine gentleman like that, they said, had no need of books. Let him leave books, they said, to the palsied or the dying. But worse was to come. For once the disease of reading has laid upon the system it weakens it so that it falls an easy prey to that other scourge which dwells in the inkpot and festers in the quill. The wretch takes to writing. And while this is bad enough in a poor man, whose only property is a chair and a table set beneath a leaky roof — for he has not much to lose, after all — the plight of a rich man, who has houses and cattle, maidservants, asses and linen, and yet writes books, is pitiable in the extreme. There are a number of very good blog posts on Orlando that do a great job covering the themes of the book. Dolce Bellezza has an excellent post. I did find it somehow interesting to see the treatment of Gypsies in Chapter Three when Orlando became involved with a tribe (Woolf's word). Woolf's treatment of Gypsies is much more subtle than the simple prejudice shown in say, Jane Eyre, but it did make me wonder what was behind it. Looked at from the Gypsy point of view, a Duke, Orlando understood, was nothing but a profiteer or robber who snatched land and money from people who rated these things of little worth, and could think of nothing better to do than to build three hundred and sixty-five bedrooms when one was enough, and none was even better than one. She could not deny that her ancestors had accumulated field after field; house after house; honour after honour; yet had none of them been saints or heroes, or great benefactors of the human race. So far Orlando is my favorite Woolf novel. I think I might read her famous critical literary essay A Room of Her Own next then maybe I work of short fiction then I will read The Lighthouse. I saw a recent posting on a survey of lists of best 100 books of all times and The Lighthouse is the most frequently listed of her books. If anyone has any suggestions as to how to go about my project, please leave a comment. Orlando (and many more great books) can be read online at the web page of the University of Adelaide Library. Every Friday Jennifer of Crazy For Books hosts The Book Blogger Hop-The Book Blogger Hop is a great chance to meet new to you bloggers, find some new blogs to follow and gain some great readers for your own blog. Every week about 200 or so bloggers from all over the world participate. I have found some excellent new blogs this way and gained some wonderful readers. I follow about 500 book blogs and am always happy to find more. If you follow me I will follow you. Jennifer has asked us to list our favorite book bloggers in honor of BBAW-this is very hard for me to do as I follow about 500 book blogs-some I read everything they post-others I just take a passing look at in my Google reader-this does not mean I see one blog as more worthwhile than another it just means I share more interests with some bloggers than others, as we all do. My blog for the last few months has been one third Asian literature, one third classics and one third short stories but I do read contemporary fiction also and even some YA once in a while. I have various reading projects I am working on also. My latest one is short stories by Australian writers of the 19th century and I also just read five stories by African writers in competition for the Caine Prize. I am very into Katherine Mansfield and Virginia Woolf. If you visit me please leave comment so I can return the visit. "Something Childish But Very Natural" By Katherine Mansfield-A Gothic Tale? "Something Natural But Very Childish" was first published in 1914 and was republished shortly after Mansfield's death (New Zealand 1888 to 1923) in the collection Something Childish and Other Stories. This collection of short stories was edited by her husband John Middleton Murry. Murray must have felt this was one of Mansfield's best stories given that the collection was named for it. "Something Childish But Very Natural" is also one of the longer stories of Mansfield (my page estimates are taken from facsimile editions and are probably higher than a modern edition would be). "Something Childish But Very Natural" begins on a train. A lot of Mansfield's stories center on travel, mostly by train but sometimes by boat or cart . As one seemingly unusual feature, the central character is a male, Henry an eighteen year old office clerk. It was interesting to see Mansfield develop a story at least in part through a male point of view. I think it is significant that the male character is quite young. Older men are not depicted, in the stories I have read, in at all a sympathetic fashion. This is documented in the stories I have posted on but perhaps it comes to our mind because of what we know of her life. "Something Childish But Very Natural" is more of a traditional story than most of her other works. It has a clear beginning, a plot in which Harry gets to know another train rider, a sixteen year old Edna. Both of them are regular train riders and gradually they fall in love. It is a first love for both of them and the feeling between them is very well developed. Their relationship advances first to a simple excursion then to the point where they look at a cottage and seem to pondering renting it to live in together. Then something very strange happens. I cannot really say what it is because I do not know for sure what it is (and if I did I would not want to spoil this fun story). This is the only one of her works I have read so far (maybe 30 stories) that has any sort of Gothic or supernatural feel to it. I am open to the possibility that I am projecting that onto the ending to perhaps achieve a forced understanding of the story. I did not all see the strange ending coming and I liked it a lot. "Something Childish But Very Natyral" is a fun well written story that constructs a complete world in a few pages. It is never mentioned when the greatest stories of Mansfield are detailed but it is worth the time it takes to read it. The full Mansfield short story collections come to little more than 600 pages. "Something Childish But Very Natural" can be read online at The New Zealand Electronic Text Center, a great online reading resource. John Lang (1816 to 1864) is Australia's first native born novelist with Two Clever by Half (1859). 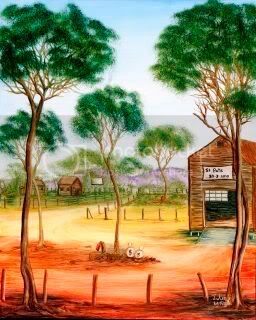 Lang was born in Sydney in New South Wales, Australia. His father was English and his mother was native born. He attended Sydney College and while there produced a well respected translation of Horace's The First Satire. After leaving Sydney College he went to England to attend Cambridge but was expelled for writing an article considered inappropriate (all I can find on this). After Cambridge he studied law at The Middle Temple in London. He returned to Sydney after being admitted to the bar and married well. In 1842 he and his wife moved to Calcutta, India. He founded a very influential newspaper while there and later returned to England where he produced a good quantity of literary works, some of which were published in Charles Dickens's Household Words. As a simple matter of fact, most of the women were from very impoverished backgrounds and many were prostitutes at one point in their lives. Kate is from a much higher social background than the average convict. Once Kate arrives at the colony we quickly are treated to a very well done and credible account of her rise to riches. In the process we learn a good bit about life in the early convict colonies. As you can see from the passage I quoted, the story is written in a simple direct fashion. 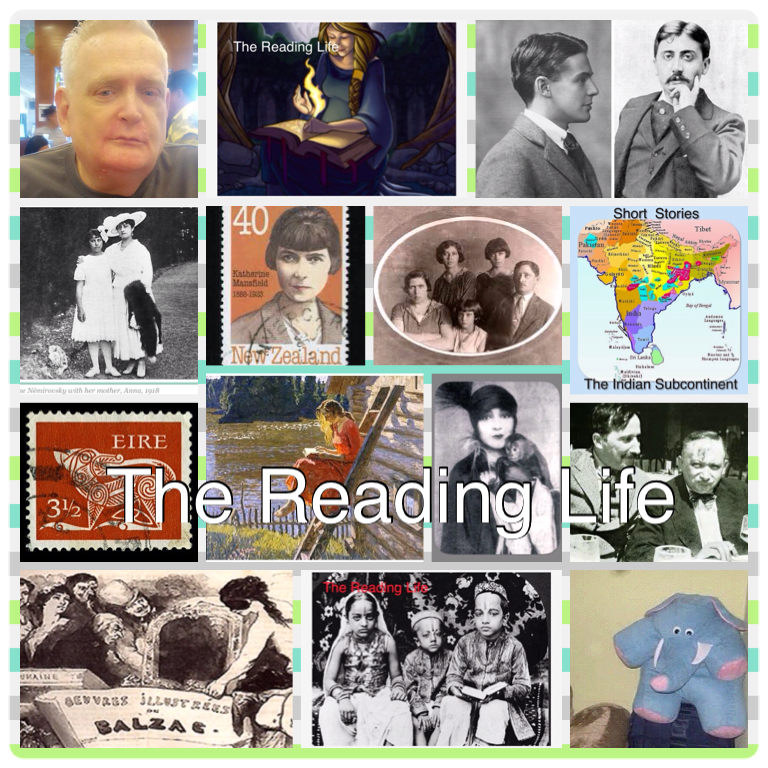 There are about ten other stories in the collection all of which can be read online at Project Gutenberg Australia. The best informational resource on John Lang seems to be the entry in the wonderful Australian Dictionary of Biography. Anyone interested in learning more about Australian convict history really needs to read The Fatal Shore by Robert Hughes. "Bains Turcs" was first published by Katherine Mansfield (1888 to 1923-New Zealand) in 1913 and was republished in 1924 in the collection edited by her husband, John Murry, Something Childish and Other Stories. "Bains Turcs" draws upon Mansfield's experience at the German health spa she was sent to by her mother to be cured of her sexual interest in other women, through a series of water treatments. ( I have not yet discovered precisely what this treatment was but amateur Freudians will be interested to know it partially involved spraying the subjects with cold water from high pressure hoses!) "Bains Turcs" is a classic Mansfield story with no start middle or end and with a bit of a nasty streak in its observations of those who are not admired by the narrator. Mansfield, whose own weight seems to have been high at times, does have her narrator treat overweight blond women (meaning in the context a person of German roots) with contempt. Woman is woman, and besides, if you'd rather, I won't look at you. I know— I used to be like that. I wouldn't mind betting,” she went on savagely, “those filthy women had a good look at each other. Pooh! women like that. You can't shock them. And don't they look dreadful? One cannot help but notice the ironic use of the women to convey the contempt the story has for the women through showing the ignorant fashion in which they think they understand the Sapphonic impulse (using an expression from the time of the story.) One can see Mansfield could be very harsh on those she did not like. A lot of the basic techniques of Mansfield are used in this story. To those who do not like short stories as they feel they do not offer enough "substance" to be worth your time (I once thought this also) I would say the 600 or so pages taken by the collected Mansfield short stories is all the refutation this notion needs! 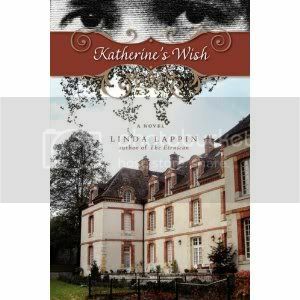 Before I give my thoughts on Katherine's Wish by Linda A. Lappin I want to invite everyone to enter the giveaway contest for this book. The contest is open to all followers of this blog world wide. All you have to do is leave a comment on the contest post. If you do not have a Google Profile, leave your e mail address. Winners will be notified by E-Mail and announced on the blog on September 18, 2010. I read my first Katherine Mansfield short story, "Miss Brill", May 19 of this year. I was so taken with the story that I did a bit of research which lead me to read a few of her more famous stories. From there I have decided to read and post on all her stories. All together it is only about 600 pages as her body of work. At the same time I also read Hermione Lee's great biography Virginia Woolf which contains a very insightful chapter on Mansfield and her relationship to Woolf. Mansfield was said by Woolf to be the only writer of whose talent she was jealous. I also read Claire Tomalin's biography of Mansfield, Katherine Mansfield-A Secret Life. I also studied the wonderful web page maintained by the Katherine Mansfield Society. The society's web page features an excellent chronology of the life and times of Mansfield done by Linda Lappin. From there I was directed to the web page of Ms Lappin and was delighted to see that Lappin had written a novel about the last five years of the life of Mansfield. Katherine's Wish has won the IPPY Gold Prize for historical fiction for 2009, among other awards. Ms Lappin's web page gives a lot of background information on her own life and work. I at once ordered the book from Amazon and was happy when it got to me here in the Philippines in less than a month. Ms Lappin has been a reader of Mansfield for twenty years and a student of her life, era, and work for fifteen years. Lappin is the author of two prize winning historical novels, The Etruscan and Prisoner of Palmary prior to Katherine's Wish. Katherine's Wish does a wonderful job of bringing Katherine Mansfield to life. 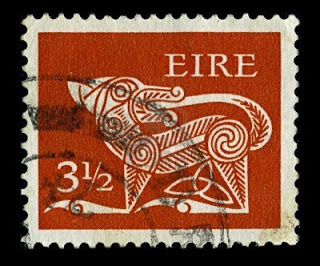 The period covered is from 1918 to October of 1922. We see the contradictions in her character. We also are treated to visits by Virginia Woolf and D H Lawrence, both very close to Mansfield. As the novel begins I came to feel I was on a train with Mansfield (or Katie as she is sometimes called) riding through France. I got more of an understanding of the passionate physical side of Mansfield's nature. I saw how alone she was. I got to know a bit her husband, John Middleton Murray. Most lovers of the work of Mansfield (and her own father) end up seeing Murray as an exploiter and not the husband that Mansfield needed. As I read Katherine's Wish I could not help but wish she could have had a husband like Leonard Woolf. Mansfield was not an ethereal elf spending all her time in cafes talking about art. 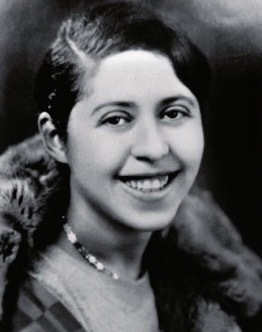 She had her own faults and was in fact quite an exploiter of Ida Baker, a childhood friend in love with Mansfield who was used by her as a servant and comforter when it was useful to Mansfield and pushed aside when it was not. To me if there is a villain in this story it is the father of Mansfield, Harold Beauchamp. Beauchamp, one of the richest if not the richest man in New Zealand (at one time chairman of the Bank of New Zealand) gave his daughter a very small allowance. He could have increased it ten fold and not even known it. I found the story "The Little Girl" a chilling look into the emotional background of Mansfield's childhood. It may be that Katherine Mansfield needed to suffer a bit to produce her art (she never really had a room of her own as her friend Virginia Woolf said a woman writer needed) and she did. There is a lot to like and enjoy about Katherine's Wish. It is the best novel I am aware of centering on literary characters. We meet along the way a number of interesting people. I am still a bit confused at what went on at the German Spa where Mansfield's mother sent her (the mother is also an interesting figure) to be cured by cold water therapy of her sexual interest in women. There is a brief mention of Alastair Crowley also which I found intriguing. 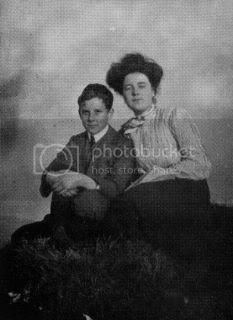 Many of those close to Mansfield's associates (Mansfield was not a member of the Bloomsbury group even though she knew many of them-I think somehow she was a bit to "rough" or scary for them!) were interested in occult orders like The Golden Dawn, whose doctrines I studied many years ago. Katherine Wish is beautifully written and shows a deep understanding of the creative process. I recommend it without reservation. It is also physically a beautifully produced book. Leave a comment to win! Open to all followers, old and new world wide. Thanks to the generosity of Linda Lappin, author of Prisoner of Palmary and The Etruscan readers world wide have a chance to win a copy of her latest book, Katherine's Wish. 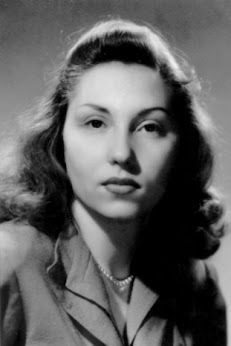 Her books have received numerous awards. She teaches Creative Writing for the United Studies Abroad Consortium in Viterbo. 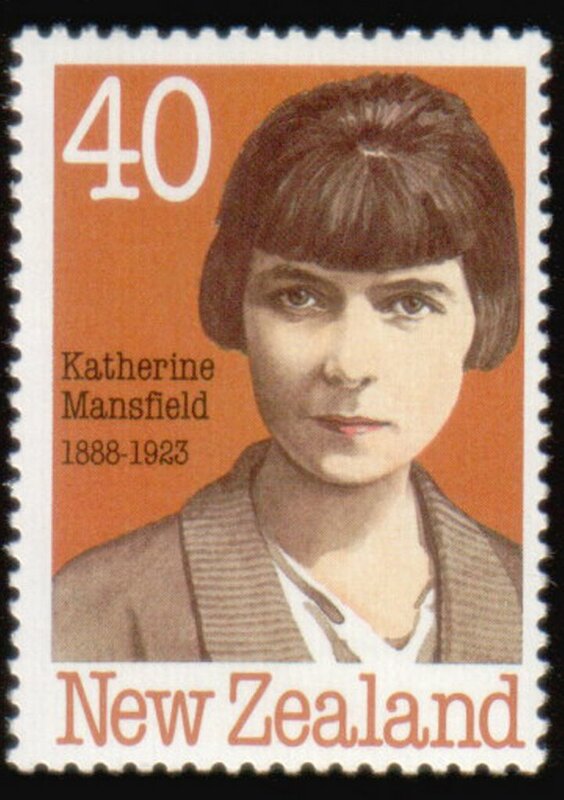 I first became a reader of Katherine Mansfield a few months ago by a happy accident and am now an avid admirer of her work I have now begun what I call The Reading Life Katherine Mansfield Project in which I will be posting on each of her short stories. The more I read of and about her the more I am convinced of her artistic depth. She was, according to Virginia Woolf, the only writer who ever made her feel jealous of their talent. 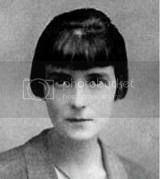 In one comment I received a message from an officer of the Katherine Mansfield Society telling me of their web page. On it I found a very well done chronology of the life and times of Mansfield by Linda Lappin. 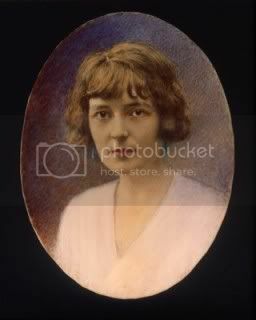 From there I found Ms Lappan's own web page, www.Lindalappin.net and discovered she has recently published a novel based on the last five years of the life of Katherine Mansfield. I at once ordered the book and also send an e-mail to Ms Lappin advising her I would be reviewing her book soon. She then very kindly offered to sponsor a giveaway on my blog for BBAW. In her new novel, Linda Lappin (author of THE ETRUSCAN) explores the final years in the life of short story writer and literary figure, Katherine Mansfield, focusing on her relationships with Ida Baker and John Middleton Murry against the backdrop of her ceaseless journeys and changes of residence -- the South of France, London, Italy, Switzerland, and finally, Fontainebleau. The narrative incorporates modernist techniques used by Mansfield, Virginia Wolff, and D.H. Lawrence in their fiction. Though the book deals with tragic issues, it celebrates Mansfield's deep love of life, which never abandoned her, and its final message is a life-affirming one of joy and of wholeness achieved. "KATHERINE'S WISH is a beautifully observed novel [that] reveals a core truth: that Mansfield's was not so much a creative life cut short as one that flourished so long against all odds." -- Alexandra Johnson, author of THE HIDDEN WRITER "KATHERINE'S WISH, fifteen years in the making, is a dazzling bit of fictional sorcery, conjuring to life the bright and talented swirl of modern society in the 1920s... This novel is a must read, whether you have historical interests per se or only enjoy a story so compelling and moving that there's no putting it down. I certainly couldn't! Anyway, to enter just leave comment expressing your interest. The contest is open world wide to all followers of my blog. If you do not have a Google profile, the please leave your e mail in the comment. Last day for entry is Sept 17, 2010. The winner will be chosen at random and notified by E mail and announced on my blog after BBAW ends. I will post my thoughts on Katherine's Wish very soon. I will say now that Katherine Mansfield came to life for me in Lappin's wonderful deeply felt book.